Made by busy artists for busy artists! 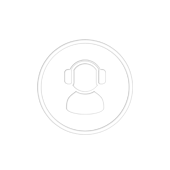 The Artist Push packages are complete monthly promo packs with a perfect mix of streaming and social media promotion for DJs and EDM professionals. Promotion is plug-and-play: we take care of everything for a month so you can focus on your music. Also take a look at ArtistPush.me, the dedicated project sponsored by PromoSound. Delicious! Starter, main course & dessert - all wrapped up into one! Launch your tunes into the stratosphere with an all-inclusive music promotion pack, made for busy artists who want to focus on creating music. Professional music promotion today must include music portal positioning, complemented by clever social media marketing, and spiced up by a few cool hacks. Here you get all of that, in a well-balanced package. 750 email contacts of Top Djs. Order yourself some deliciously pro, complete music promotion and focus on what you do best: creating tunes that give goosebumps!